The Winter 2015/16 issue of Vogue Knitting is here! 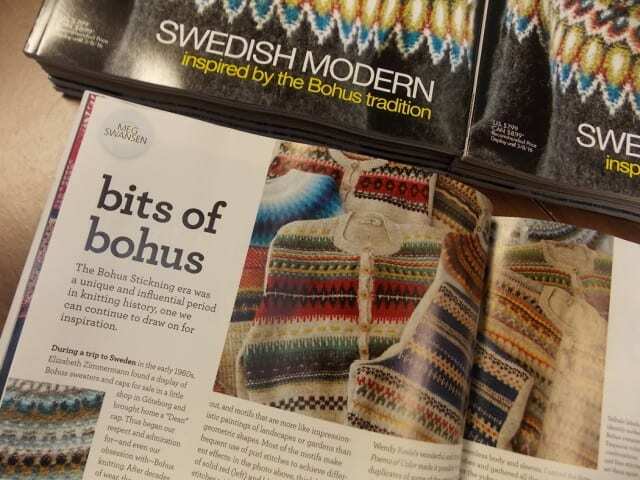 The Swedish Bohus knitting tradition is one thread that runs through this issue, popping up in articles and patterns alike. 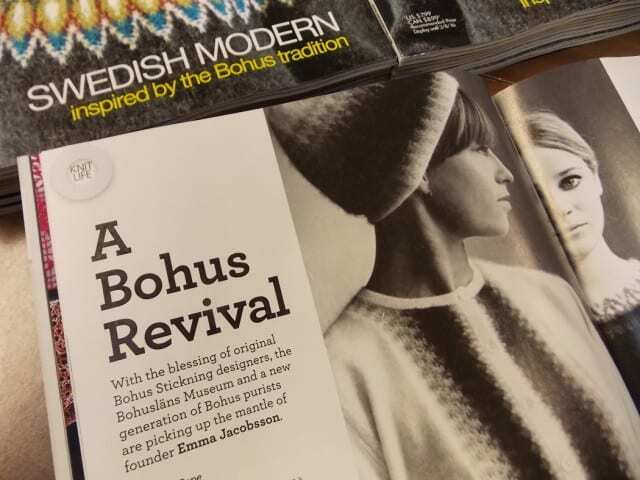 Founded by designer Emma Jacobsson in the late 1930’s, Bohus Stickning designed luxurious handknit garments into the late 1960’s. Those garments were knit by women in Bohuslän, Sweden, and marketed to a wealthy international audience, creating a distinctive colorwork style along the way. Read more about Bohus in this issue of Vogue. 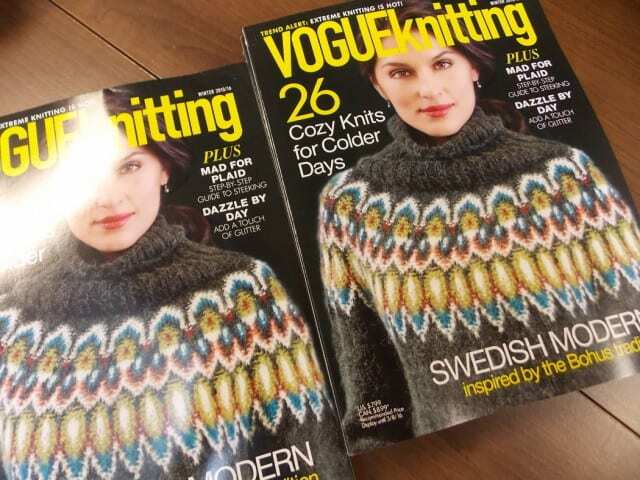 Look for this issue of Vogue Knitting on the teacart here at the shop, among the latest books and magazines. See you at the shop!